The art club has been creating wonderful self-directed projects. Here is a sampling of their works in progress! Who ARE THE Artists of the week? 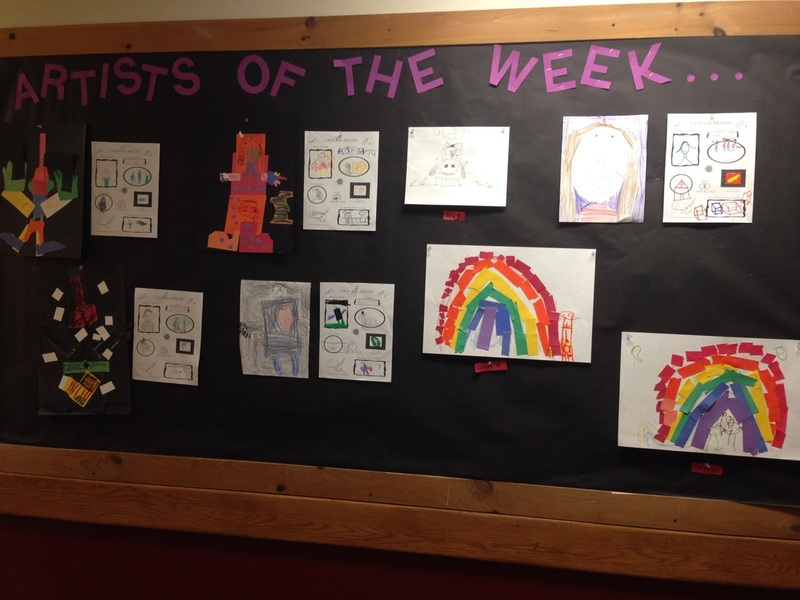 Artist of the week is a great way to celebrate student creativity. Student art work is displayed weekly on the bulletin board outside of the art room. These students are highlighted "Artists of the week". Each week new art will be on displayed for the whole school to see.